Speed, power of reasoning and reactions are three qualities you need to play ligretto. All the participants play at the same time, trying to discard as many cards as possible to the middle of the table. The cards must be the same colour and discarded in ascending order (1 to 10). 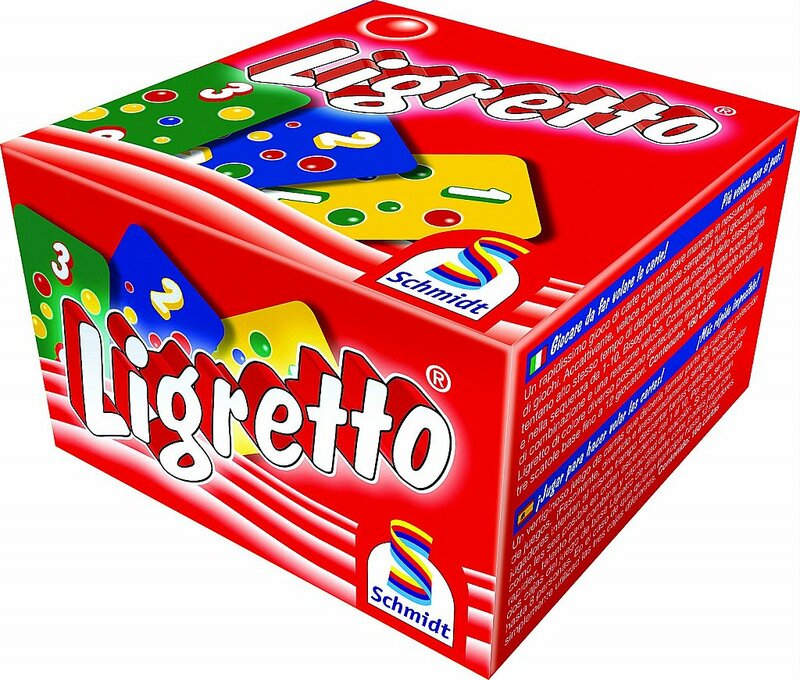 Whether you play with the blue, red or green ligretto box it is always for 2 - 4 players, but if you use two boxes of different colours you can call upon up to 8 players, use all three and you can play with a total of 12 people! Ligretto - breathtaking, breakneck speed! I would like more information about Ligretto Card Game - Red by Coiledspring Games.